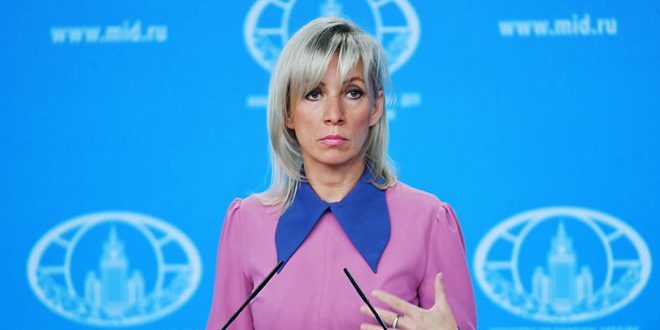 Moscow, SANA_ Russian Foreign Ministry spokeswoman Maria Zakharova has said that Jabhat al-Nusra terrorists are planning to stage a new false flag chemical attack in Idleb province . 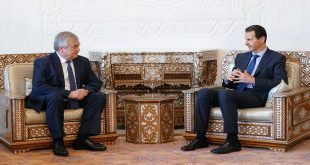 ” We are closely monitoring the situation in Idleb de-escalation zone; Moscow is seriously concerned by fresh reports that terrorists of Jabhat al-Nusra, with the assistance of the notorious “White Helmets”, are making preparations for another staged attack involving the use of toxic substances, with the subsequent imposition of blame for the use of chemical weapons on government forces.” Zakharova told reporters Friday. 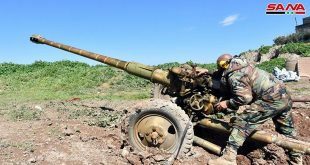 She added that al-Nusra terrorists are dispersing the corresponding warheads and caches in the countryside of Aleppo, Idleb, Lattakia, and Hama with the aim of preparing for the provocations and we are closely monitoring the situation. On November, Russia’s Sputnik news agency quoted local sources as saying that Jabhat al-Nusra terrorist organization deployed around 50 missiles carrying toxic chemicals in several areas in Idleb and its countryside. Al-Nsura terrorists transported the missiles after they were modified by French experts in a location near Idleb Central Prison. The spokeswoman criticized the “indiscriminate bombing” carried out by the US-led illegal coalition on al-Baghouz village in eastern Deir Ezzor . Zakharova pointed out that most of the victims and the wounded are women and children, adding that the coalition’s attack targeted dozens of civilians while trying to flee the village . “The United Nations reports indicate that more than 65,000 Syrians have been displaced to al-Hol camp near al-Hasaka to escape the coalition bombing.” she concluded.